In the business to business world, indispensable factors in the respond to offer a product or a service are speed, flexibility and quality. In order to be efficient and effective, all the company functions must be highly integrated and necessary information must be distributed without re-elaborations and waste of time. The guideline that lead us during the planning and realization of zService was to manage all of a trade or service company issues in one platform, that integrate trading, technical, logistic and administrative needs where each operator could have a tool designed for his specific role. Today zService is an integrated and complete system that allows a company to manage every process, in a integrated, flexible and effective management view. Customer file is meant to give a direct and complete photograph of the relation with the customer, respecting different employees mansion. zService is meant to organize, plan and record technical, installation and maintenance actions with a full integration among offices and technicians on site. This could be done even without an internet connection. 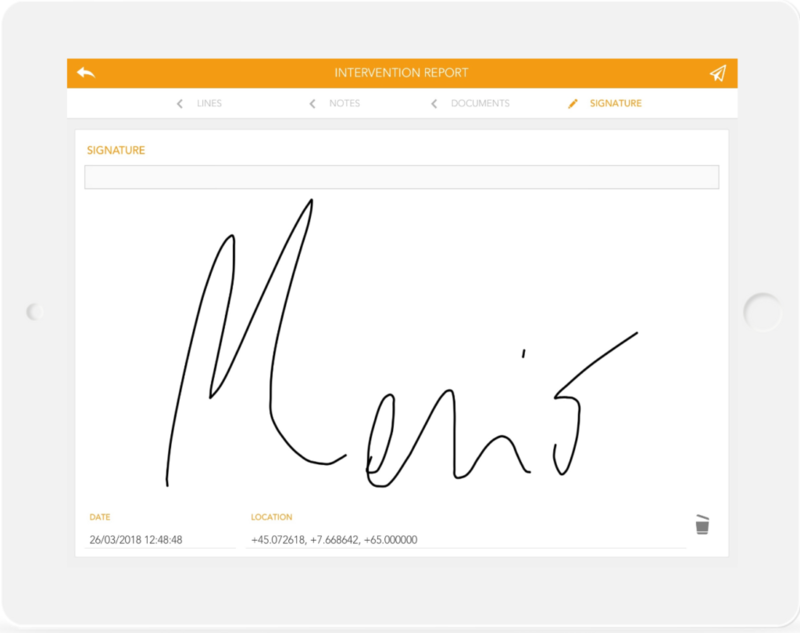 insert orders or preorders directly from the device, having the possibility to make the customers sign and mailing them the confirmation. All could be done even without internet connection due to the system offline synchronization. In the office, orders are automatically received in order to proceed with shipment, invoicing and fees calculation activities. Are you interested in zService? zService handles all the information flows and the management needs in a unique and strongly integrated system, making available in real time all the data and unifying with just one tool CRM, MRP, ERP and potential dedicated applications functions. The basic idea zService was designed and realized by it is that it should be a supportive tool capable of following company’s evolution trough the years, expanding development and continuous improvement possibilities. This goals could be reached by just one flexible and configurable tool that perfectly fits company’s needs. The possibilities of customize and design different process, flexibility, openness and speed features in the development process on FileMaker platform and, least but not last, the high technical competences of our team are the foundation to reach this targets. Agents or salesman collect the orders directly from customers on the iPad. In the office orders are received and validated generating relative product and materials needs and, eventually, calculating fees. Logistic/sales evaluate action rounds and assigns installation actions to an operator, simultaneously it open eventual maintenance lists scheduling next deadlines. 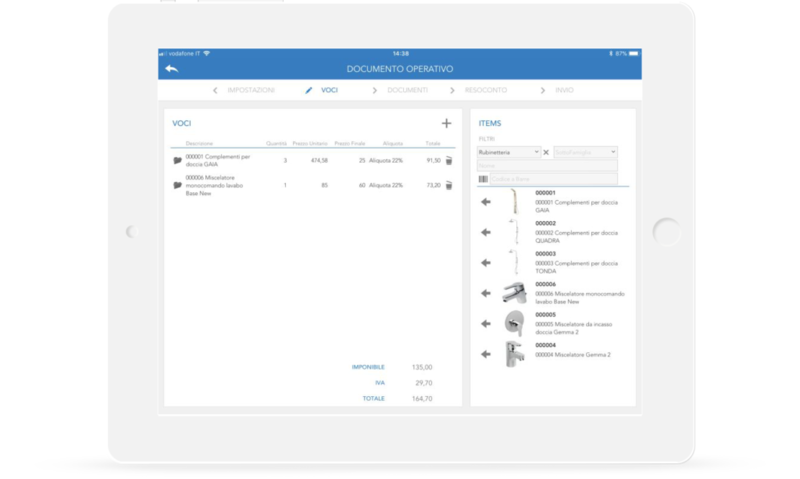 After the intervention, operators make the customer sign directly on the iPad the installation report and also the eventual day of delivery (DOD). Data collected by the operator are automatically received by the office which, after a control, send them to the administration for the invoicing. Depending on the preset range, the system will propose the need to make following maintenance and intervention actions even managing eventual complains and reminders. In case the company is already provided of an accounting system, zService could connect and provide it all the necessary information. zService is meant to manage operative processes. All the system has been design caring about the needs of a fast, simple and direct use tiphycal of technicians, salesman and managers, wheter they in office or outside. Unlike the administrative area, where BE programs are the only work tools, in the daily operativity practical work, tools are others so the managing system must be a support and not a break. All company's areas are integrated in a unique managing platform allowing a full share of useful informations among different functions and a full control of work processes. Everything in a multi-compamy, multi-language and multi-currency circle. 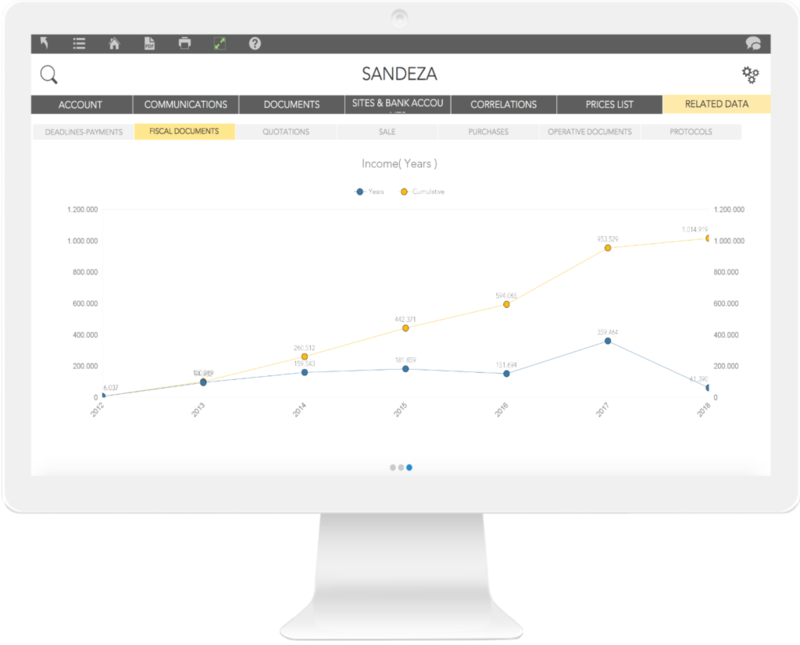 zService integrates with others managing software, web services and quality systems and can receive data from sensors and centrals. It guides users step by step during the different operations thanks to a simple, clean and significant interface and user experience, making the platform use immediate and smooth for any kind of user, consequently reducing time for personal training. zService structure is meant to fit in all the different specifics in each segments. FileMaker platform, besides, it is a RAD system that allows to realize customizations and integrations in a really short time. These features permit to evolve and personalize zService gaining an ad-hoc system for companies, with an extremely high return of investment. Provide and collect datas in the moment and in the place where they grows it Is foundamental for the quality af managing during the process. That Is why zService uses mobile devices and web to give the correct tool, with necessary data, to the correct person in the time and place where they are needed. zService architecture has been designed analyzing characteristics, variables and needs of everyone involved in the work phases, not just only caring about ''traditional'' managing practice. The point of view is overturned: a large part of BE are meant and came from administrative/accounting needs, that is why they are designed in an administrative/accounting view. zService focuses on the operative and productive processes requirements, to provide then to the administration what it needs to operate with a full knowledge of what happened. To successfully introduce a management system, product and service quality are essential. Our technicians are not just developers but also competent consultants on different business processes. This to better understand the needs, to design solutions in collaboration with the client and to build them, offering an all-round support. Want to know more about zSERVICE?